Fast food's hottest trend is an old Tex-Mex staple. The next big food trend may actually be an old Tex-Mex standard: chile con queso or, more commonly, “queso.” The spiced-up melted cheese dish comes in a variety of forms – in part because “queso” is simply “cheese” in Spanish, leaving plenty of wiggle room as to what a “queso” can be. But whether you get it in a sit-down restaurant or a gas station, all chili con queso should have one thing in common: gooiness. But though Chipotle calls its dish “Genuine Queso” purveyors of those so-called “typical quesos” aren’t so sure. In a food world where clean eating is all the rage, some queso proponents are taking a stand on the side of additives, arguing that processed cheese essentially is queso: It’s the main ingredient. “Chile con queso is controversial because the ‘genuine’ Tex-Mex version includes processed cheese,” Texas culinary historian Robb Walsh told Quartz. 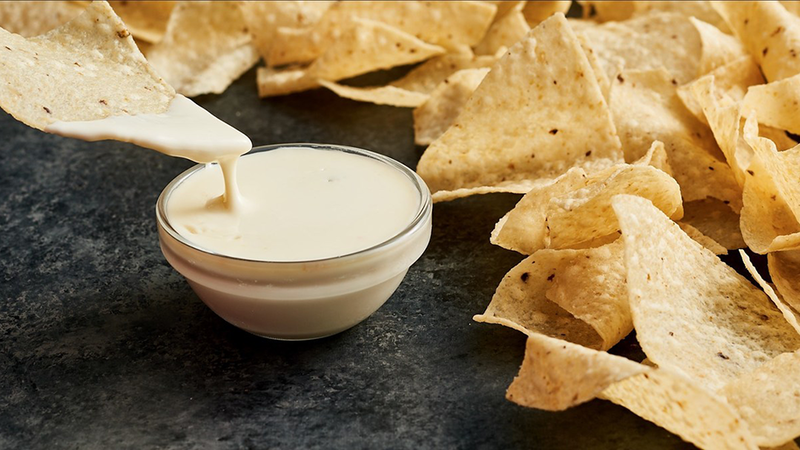 Moe’s Southwest Grill, which started serving queso 17 years ago, has been especially outspoken. Earlier this week, the chain issued a press release announcing that “queso impersonator [are] on the loose.” The chain even outlines how to spot such fakes, saying they are “yellow in color, resembling a block of faux cheddar cheese, rather than smooth, white queso blanco … grainy, devoid of the velvety queso goodness [and show no signs of] magical cheese pulls or beautiful, bold drippings off the end of a perfect chip” – all clear shots at Chipotle. Moe’s even gave away free queso in New York yesterday and has offered a free cup to anyone who download its rewards app. Though clearly some customers wanted queso from Chipotle, bringing the cheesy dish front and center does have the potential to backfire. 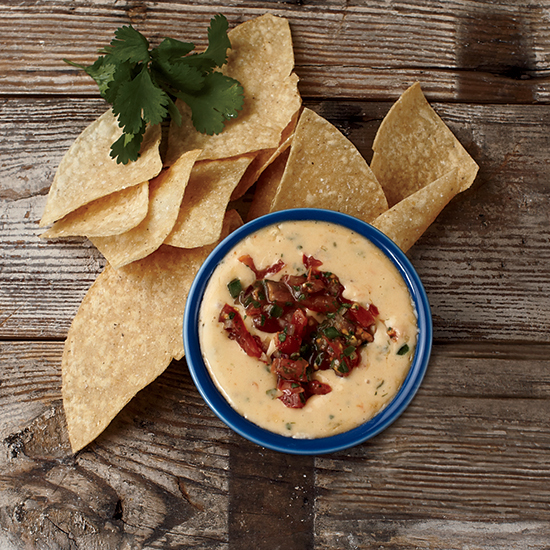 And Moe’s certainly isn’t the only major brand in the queso game. Taco Bell introduced its own take on queso less than a year ago. And even Wendy’s just introduced a queso-laced burger, chicken sandwich and fries. Meanwhile, early reviews of Chipotle’s take on queso have been more lukewarm than queso itself. If the queso wars truly are ramping up, Chipotle might regret starting the fight.